To see Matt's Interview with WFMY News 2 Click here. Successful retirement planning begins with a great financial plan. 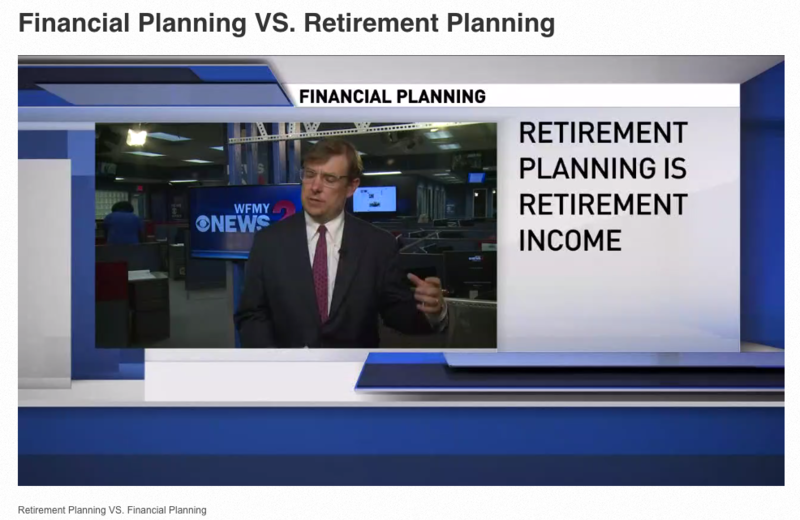 Although new rules and penalties have created retirement planning vs financial planning disparities, the framework of a good financial plan always incorporates some aspect of retirement planning. In most instances, financial plans are hinged on making prudent fiscal decisions now, that establishes financial security for the future. As such, when making a differentiation between retirement planning vs financial planning, the changes in the tax code that impact retirement distribution of certain annuities, 401k and IRAs must be considered. Although retirement planning is, in essence, a subset of a financial plan, there are subtle areas of distinction. For instance; the difference between financial planning and retirement planning is that one is based on current actions and the other on future rewards. 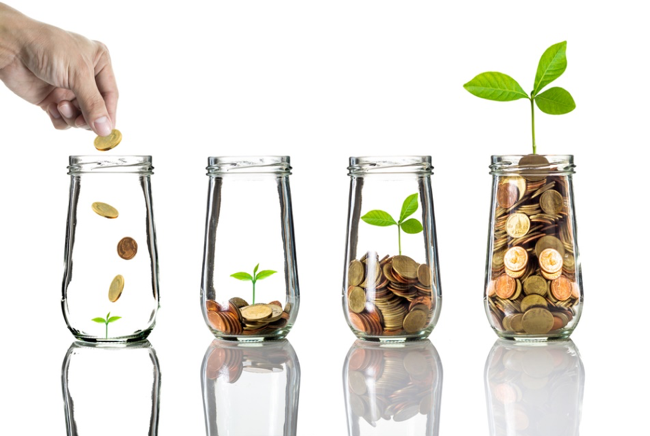 In definition, financial planning encompasses saving, investing, preparation for emergencies, major purchases and other goals that may require financial solvency. Retirement planning on the other hand, is based on evaluation of current variables as well as forecasting future cash flow, asset values and economic trends in order to create an unemployment replacement income. Navigating through the layers of complexities involved in retirement planning or financial planning often makes it necessary and advisable to utilize the services of a qualified financial professional. As a highly specialized field, it is important that the financial expert is versed in the nuances and subtleties of both retirement planning and financial planning. In reality, financial planning today is a comprehensive process that correlates the client’s current financial status with their retirement vision. The mission of the financial expert is ultimately about resource allocation that enables some semblance of security for short or long-term retirement. As such, strategic planning and decision making play an integral role. 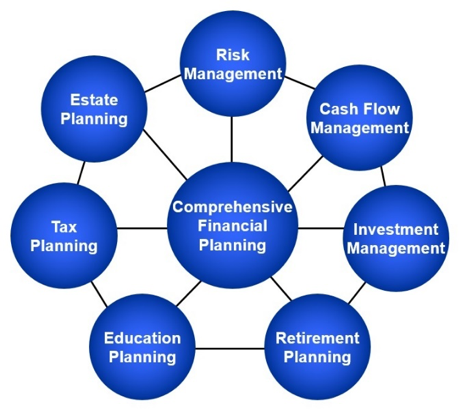 Especially in the development, implementation and monitoring stages of any financial or retirement plan. A financial expert must therefore be able to provide the skill-set, knowledge and experience to create and execute a comprehensive financial plan, as well as assess risks relative to income, asset management, investments and retirement. When it comes to matters of “money” few people want to chance losing or mishandling it. More than any other time in history, financial professionals offer an essential service from managing sticky tax situations to providing some clarity on the ever-changing investment and retirement landscape. The reality is that the average consumer uses the terms “financial planner” and financial advisor” interchangeably. This gets even more complicated when industry professionals also misuse these terms. For these reasons, it is important that consumers recognize that the titles “financial advisor” and “financial planner” are very broad categories with varying criteria for qualifications. It also makes sense to understand the difference between a Certified Financial Planner and a Financial Advisor before retaining one of these professionals to handle sensitive monetary issues. Although the CFP certification process and other stringent qualifying criteria are necessary to achieve the status of “Certified Financial Planner” consumers should ensure that the credentials of their financial expert are valid. They should also seek appropriate references and an initial meeting prior to committing to the relationship. Financial statement preparation and analysis that includes cash flow analysis/planning and budgeting. They are also required to gather relevant data, analyze the client’s financial status, develop and provide recommendations, and implement and monitor the financial plan. Recommendations may include issues relevant to retirement accounts, tax filing assistance as well as investment asset and risk management. It is also good to know that in some sense every financial planner is also a type of financial advisor, however an individual with a financial advisor’s designation may not have the qualifications and expertise of a Certified Financial Planner. The definition of a “Financial Advisor” is a professional such as a stockbroker, insurance agent and/or banker. This is a broad definition that gives financial advisors a wide range of performance qualifications and services that also varies between fields. As a recommendation, individuals seeking money management advice and assistance would be better served by the qualifications and expertise of a certified financial planner. It is also important to note that all financial professionals providing retirement advice or retirement planning services under the Department of Labor's new fiduciary rule are held to specific legal and ethical standards. Be sure to ask a ton of questions when hiring a professional to help you!